Assemblages Kakimoto is one of those restaurants where it seems that the more awards it wins, the more resolute the staff become to maintain their composure. God forbid the level of seriousness falls below that expected in an operating theater. Except, at Assemblages Kakimoto, the raison d’etre is desserts, not surgery. 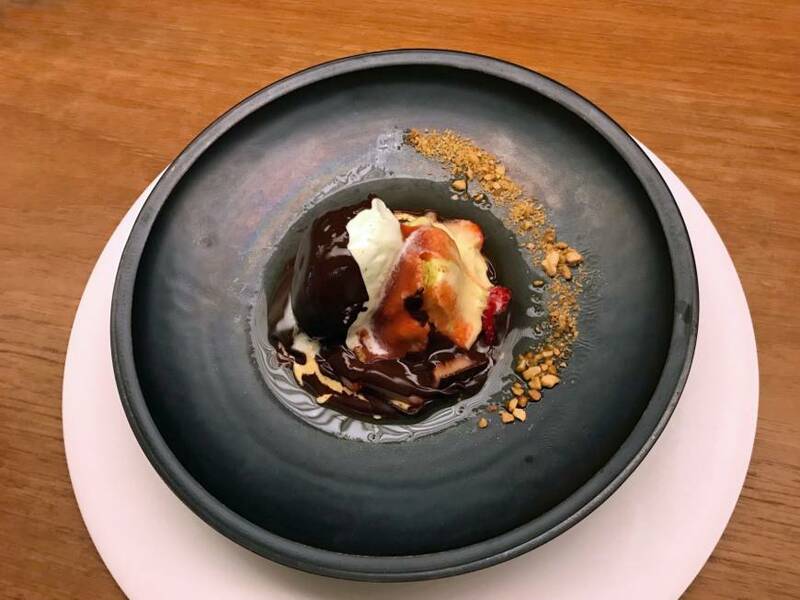 Headed by chef Akihiro Kakimoto — who has represented Japan at the World Chocolate Masters since 2013 — Assemblages Kakimoto is housed inside a machiya (traditional townhouse) south of the Imperial Palace. Inside, there is a small alcove with pastries and an extensive selection of handmade chocolates with flavors such as vanilla, myōga ginger and rosemary. 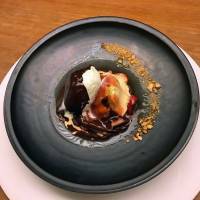 However, to really taste and see the creative side of Kakimoto, you need to go for the dessert menu. After a brief fight with myself — I wanted everything listed — I settled on “Le Jardin — a Japanese Garden” (¥2,200), which appeared to bear little resemblance to its namesake. But, appearances be damned, “Le Jardin” was truly excellent. A hard chocolate sphere melted away before my eyes as a strawberry liqueur was poured over it, revealing a pistachio ice cream infused with shiso (perilla leaves) that tasted divine. Separately I tried a pistachio, green tea and raspberry pastry (sublime!) and — at this point leaving was the last thing on my mind —I finished off the affair with a glass of Justino’s 10-year-old Malvasia port. Assemblages is a little bit of magic, even if I was the only one smiling. 12 p.m.-5:30 p.m.; dinner 6 p.m.-11 p.m.